Audioboom / Fabulous Friday! Be Action! 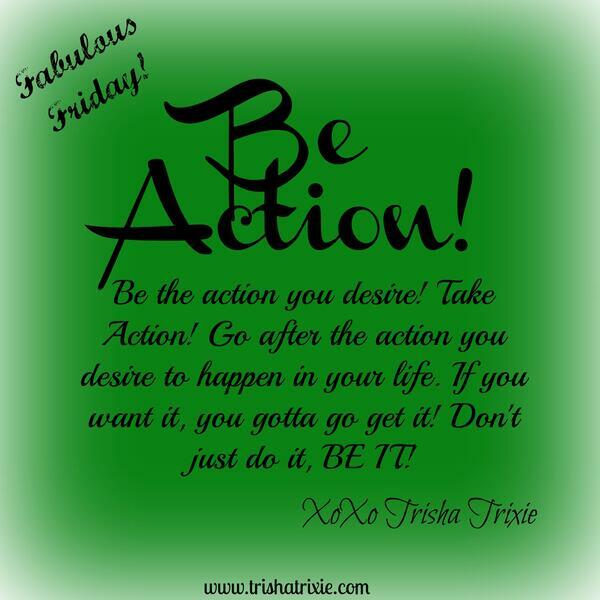 For today's Fabulous Friday, we are starting the year of with Be Action! Be the action! Be Actionful (*Trixieism) Go after what you want. Go be the action you desire. I share with you a bit about how I am doing that in my life and what is yet to come in 2014! !